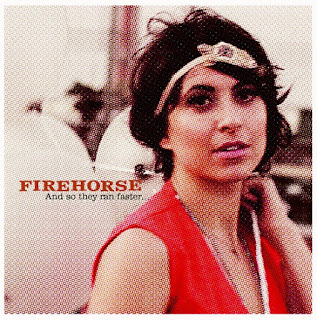 Charging out of the gate with a bold and impassioned debut, And so they ran faster…, Brooklyn artist Leah Siegel is off to quite an auspicious start as Firehorse. Released late last year on Pledge Music, the album has earned significant critical praise from the likes of The Los Angeles Times, Paste, and The Wall Street Journal. Select performances in Los Angeles and New York City, including a buzzworthy showcase at the 2011 CMJ Music Marathon — Siegel’s live band includes guitarist Steve Elliot, bassist Tim Luntzel, and drummer Brian Wolfe — have generated even further acclaim. And so they ran faster… is a vivid collision of songcraft and imagination, the realization of a promising artist flirting on the fringes of rock, funk, cabaret, indie pop, and dance in ways that are ahead of their time and beyond it altogether. In recent years Siegel has made a name for herself in and around Manhattan as a resourceful musician and a captivating vocalist, either on her own or with soul/R&B combo Brooklyn Boogaloo Blowout and the Citizens Band cabaret troupe. In 2006, following two short works, Leah Siegel Presents and The Lemon EP, she released her proper full-length solo debut, Little Mule. Her most realized effort up to that time, its progressive textures and unconventional song structures in some respects foreshadowed the music she now plays. Still, Siegel had misgivings; that the album was too self-conscious, too creatively confining, maybe even too contrived. The album indeed reflects that sense of purpose through moments both tender and majestic. Other standouts, like “Machete Gang Holiday,” which metes out a pulsating funk groove reminiscent of early Talking Heads, and the intimately empathetic “If You Don't Want To Be Alone” further illustrate the scope of Siegel’s aesthetic and, as well, the promise it holds for the future. “Don’t fight what you are made for,” she sings in “She’s A River,” which opens And so they ran faster... with a startling, electro-nervous lurch. It’s not quite what you’d expect to hear from a singer/songwriter with an affinity for vintage Disney and Vegas Elvis, but such disparities suit Siegel just fine.